Sign-up and receive Property Email Alerts of Residential Estates in New Court At Steenberg, Tokai. Nestled at the foot of Table Mountain and spanning the Golf Estate precinct; New Court at Steenberg is set to become one of the most sought after addresses in the Western Cape. With countless paths for dog walking, mountain biking or afternoon trots along the equestrian track, this rare and tranquil location is perfectly suited to over 50's who are looking to downscale. With that said, the abundance of leisure opportunities are indicative of the fact that New Court is not a retirement village; far from it. Extensive landscaping ensures the privacy of all residents, whilst enjoying the Cape Vernacular architectural style, topped with a hint of French country villa. Whilst the manicured gardens suggest rural seclusion, there are an array of shopping facilities at the Steenberg and Constantia Villages. Quaint coffee shops and niche restaurants are all within minutes of your front door, as are the vineyards and golf courses of the Constantia Valley. The homes at New Court are designed with a front 'stoep' and private terrace, perfect for taking in a stunning Cape sunset with a glass of wine or bubbly. Direct access to the adjacent Nature Reserve is perfectly suited for those looking for some exercise and fresh air, as are the series of perimeter garden paths. There are plans to plant a five hundred square metre vineyard on the grounds, allowing residents to sample their very own merlot or pinot noir. 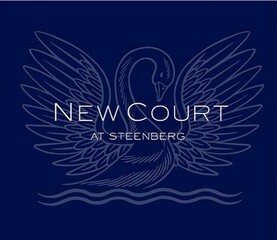 With the Cape Town CBD within reach and the ambiance being one of elusive rural countryside, New Court at Steenberg truly offers the best of both worlds.